I did the above drawing over a couple days warming up in the morning. They are all copies from the grandmaster 2000XL of ink: Sergio Toppi. He is a modern master, and is still with us, although he is getting up there in age. He's one of my favorite artists, in any medium, and I think I'm gaining a lot studying his work. His use of negative space is just as impressive as his use of "positive." thanks for the links, ive been scouring my 2 toppi books for a year now and have been jonesing for more. 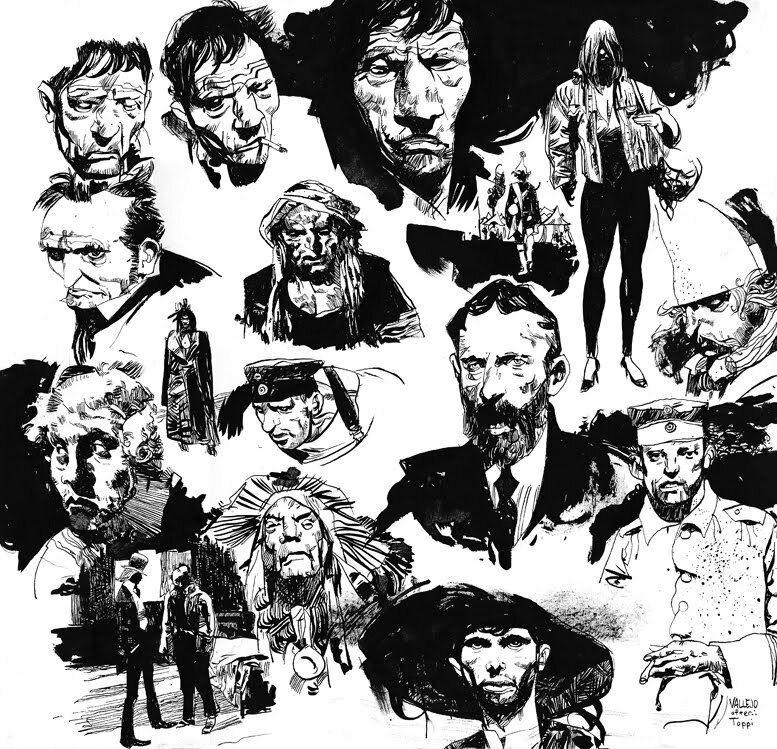 great election to do masterstudies from Toppi. What kind of drawing material have you used? Personally, I think the copies are better than the originals. Your line is more expressive and fluid. Shows real mastery. And don't get me wrong, I like Toppi's work, he is great. Nice studies man! I remember when George Pratt introduced me to him via one of his books, I think it was the tarot card one, I flipped. Good stuff! Toppi rocks my socks hah. awesome stuff! Toppi is the mutherfucking man! Love Toppi , just recently ordered a coupla his books. Brilliant drawings , you've got some killer chops yourself.